We are at the end of 1 year of training jiu-jitsu and about to begin a whole new year and it is the perfect time to pause and talk about goals. First of all, it is important to recognize the accomplishments of the past year. 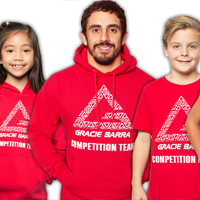 Many Gracie Barra academies have club photo and promotions at the end of the year. 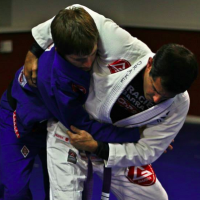 Do you now have a new blue or purple belt around your waist? A new stripe on your belt? Congrats! 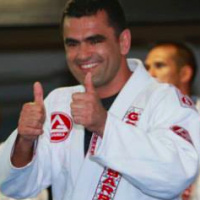 There is only one way to get a promotion in jiu-jitsu – training consistently and showing technical improvements. If you were awarded a promotion, be proud. You earned it. 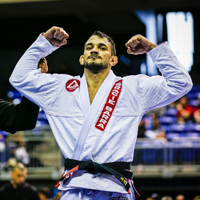 What areas of your jiu-jitsu did you improve the most this past year? 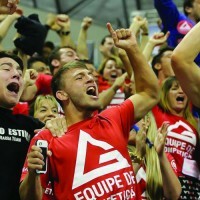 How has your understanding and enjoyment of jiu-jitsu expanded in the last 12 months? Take a moment to reflect on the victories, obstacles overcome and most importantly the lessons of the previous year of jiu-jitsu. Looking ahead to to the year ahead, we can plan some goals for the next 12 months. What kind of goals is it possible to set for your jiu-jitsu? 2) Schedule and train minimum 2 – 3 times per week. Make a pact with yourself (or even with your favorite training partners) to commit to training a set number of times per week. Consistency is the foundation of your progress. Keeping the commitments that we make with ourselves contributes to our self esteem and positive feelings. 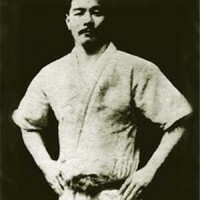 3) Improve specific areas of your jiu-jitsu game. Drilling and specific training in positions that you would like to add is one of those smaller goals that contribute to your larger, overall progress. Over the course of a year, these short drilling sessions will compund into.significant progress. 4) Enter a tournament. There are few things that will put a fire under your efforts than preparing for one of the major tournaments in your area. The increased motivation to be ready will push you beyond your comfort zone and to be the best possible version of yourself. Your entire team will work together to.push one another to show your best on tournament day. 5) Get back to regular training. For some of us who have had a training layoff due to school, work or family reasons, a simple goal might be to just get back on the mats on.a regular basis. For those who may be recovering from injury, returning to.a previous level of performance and conditioning is a solid goal to set. Where ever you might find yourself in your training journey, setting goals is important to focus your efforts and be the best you possibly can. 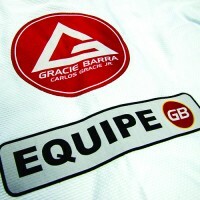 A healthy and productive year of training jiu-jitsu to all of the Gracie Barra family around the world! What are YOUR training goals for this coming year?